On February 7, the U.S. Chamber of Commerce’s Global Innovation Policy Center (GIPC) released the latest version of its International IP Index assessing the intellectual property environments in 50 world economies. Once again, the United States achieved the top overall ranking as the strongest intellectual property regime in the world. The country’s improved ranking in patent rights—moving from its twelfth-place ranking in 2018 to a tie for second place this year—is particularly notable. However, the United States does find itself tied with 10 other countries for that second-place ranking in patent rights and is just as close to being tied with thirteenth-place Italy as it is to being tied with first-place Singapore. As the executive summary of the GIPC’s International IP Index notes, intellectual property has become a much more important topic in international affairs over the past year. IP issues have been at the center of the ongoing trade dispute between the U.S. and China and played a major role in the negotiations leading up to the United States-Mexico-Canada Agreement (USMCA) which was signed by those three countries last November. The summary also noted that the United States’ improved ranking in patent rights was a result of reforms introduced by the U.S. Patent and Trademark Office that are expected to reduce unpredictability in the nation’s patent opposition system. These include reforms from the change in the claim construction standard used in inter partes review (IPR) proceedings, to the Phillips standard used in federal courts, the new Trial Practice Guide clarifying the grounds on which an IPR may be instituted, and changes to standard operating procedures related to judge assignments and issuing precedential opinions. The United States’ top overall ranking in the International IP Index was supported by key areas of strength including the new standard for international IP protections created by the US-Mexico Free Trade Agreement (USMCA) and its position as a global leader and standard setter for IP rights enforcement and protection. Key areas of weakness for the United States include both continued uncertainty over patentability in high-tech sectors and a lack of a targeted legal basis for addressing online piracy in line with other global leaders. A new key area of weakness identified in this year’s Index involves a 2018 Congressional proposal for compulsory licensing as a pharmaceutical cost containment policy. Such a proposal was included in H.R. 6505, the Medicare Negotiation and Competitive Licensing Act of 2018, introduced by Rep. Lloyd Doggett (D-TX) in July 2018. Such compulsory licensing measures would arguably undermine America’s position as the global leader in biopharmaceutical innovation due to the critical factor played by IP rights in supporting the billions of dollars’ worth of investment needed to develop new drugs and treatments. The passage of such legislation would have completely wiped out the United States’ score on one of the IP Index’s indicator measures and would have dropped the U.S. to second-place overall and sixteenth in the patent rankings, to tie with Israel. In a statement, Innovation Alliance Executive Director Brian Pomper gave much of the credit to Iancu. Since he assumed office last year, Director Iancu has been focused on using his administrative powers to improve the predictability and reliability of the U.S. patent system. For example, to help address the confusion over Section 101 and what can and cannot be patented, the USPTO has issued new guidance to clarify the law for inventors. And to help restore balance to the agency’s Patent Trial and Appeal Board (PTAB) process, the USPTO has finalized a rule requiring the PTAB to use the same standard for considering patent claims as is used in federal courts, to prevent inconsistent results when the same patent is reviewed in different forums. Most importantly, Director Iancu has used his position to champion the brilliance of American inventors and the critical role our patent system plays in promoting their innovation. I did not put much weight in the measure previously. I’ve just lost all respect for these guys. The report is politically motivated because it certainly in not based on the real world and it provides multinationals a tool to stop any pro-inventor legislation. There have been no US legislative changes since 2011. The USPTO changed to the Phillips standard at the PTAB, but the effects have yet to be quantified. The USPTO’s 101 guidance was put in place this year, and the courts are not bound to it. So if nothing changed, how did the US move up 10 places? Also, China’s patent system is grossly underrated. In china, it takes only a year or so to get through court – five or more years in the US. It is difficult for infringers to game litigation – totally gamed in the US, just ask Josh Malone. In China it only costs a few hundred thousand dollars – multiple millions in the US. Injunctive relief is almost always granted in China – no injunctions in the US for all practical purposes. Infringers settle in China. Infringers litigate in the US. But the comparison in only meaningful if you can get your day in court. The only patent holders who can get to court are huge multinationals. Virtually no small inventors will ever see the inside of a courtroom. Anti-inventor lobbyists will use this report to support their case to keep the patent system destroyed by stopping positive legislation. It is no coincidence that these huge multinationals are the US Chamber’s clients. 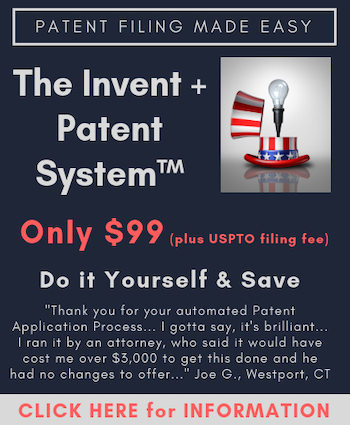 In the real world there is NO US patent system left to rank. I could not even get a patent for solving a problem never accomplished by experts and professionals in my field. My invention was called routine, well understood and conventional. Tell that statement to my colleagues who have congratulated me and the recipients of the consequences of the problem that remains unresolved until my solution is implemented, if ever. The investors fled without a possible protection of their financial outlays. Awesome! The pendulum has swung back. From now on the USPTO will stop taking back patents from inventors, we get to control who uses our inventions, and infringement will no longer be profitable. Hooray for America! Anon @1 — agree. Given that .25 separated the US from T12 to T2, there was always going to be a danger of touting the 12th place ranking if things were to shift the other way. I agree particularly with your comments regarding China. China has made remarkable progress in the last 5 years. And yet again … the headline giveth … and the details take take it away. A .25 difference is — effectively — no difference at all. Paul at #2 is spot on. The problem is not in .25 margin. It is not even in the grouping (per se). If you look back at what I originally posted, the problem is that the measure itself is just not a strong, well-explicated, and meaningful measure to begin with. The very real risk in NOW raising issue with any result is that your credibility is open for attack because the result does not fit a desired narrative. Did the mechanism change at all in the last year? It may be merely a timing delay thing, but I just posted an item with three hyperlinks – so the “multi-link” filter may have nabbed the post. Please release that post and delete this one. Pure Propaganda. How it is possible to jump from 12 to 1 or 2nd place without major legislative improvement. The only thing which jump up in my eyes lately is Chinese legal system where there are administrative bodies actually enforcing patents (without US lawyer big backs engagement) and “internet Courts” making easy for participants to attend the hearings. Plus recently they dropped the fees to allow bigger participation of inventors. Similar situation is in EU where I can for example register community design for fraction of the cost in US. The post may still be in the buffer (or may by now have been lost), but has to do with the Momenta decision (with hyperlinks to each of the decision itself, your recent (but now below the fold) article on the post grant dual foraa situation, and a third link to a proponent article for allowing the bootstrapping into the Article III forum from the non-Article III forum in which standing is not required). Bottom line: the CAFC does not permit standing to be bootstrapped (on the basis of what would amount to the Article III courts providing advisory opinions – something that not even Congress, the correct branch to write patent law may do with patent law). My first comment was facetious. In all seriousness, this international patent ranking is grossly incorrect. For instance Australia is ranked way below us, yet there I was able to quickly get an an injunction and resolve the validity challenge brought by the infringer. In the U.S. it was ASTV juggernaut Telebrands. In Australia it was ASTV juggernaut Brand Developers. Both produced cheap Chinese knock-offs and imported them by the container load and distributed through major retailers. The Australia litigation took about 9 months and $300K and I was fully vindicated. The U.S. Litigation will last about 12 years and cost $50M. I have nearly forgotten about the Australia litigation (notwithstanding the visit to Sydney harbor which was amazing), but the U.S. litigation is an endless daily burden. I expect better work the Chamber of Commerce, as this does not reflect the real world experience of small businesses.